2016 was a busy but also very fruitful year for all of us. Our team grew, and so did the number of products and features in our stack. If you’ve lost track of our recent activities, you’ll be surprised how much we changed during 2016. Want to know what the last 12 months meant for us? Let us take you for a quick ride and show you our most important product launches and updates from the previous year. In July we introduced a tag management system to our Piwik PRO marketing stack. The product addresses the needs of enterprises, organisations and governments with higher data security and privacy standards. As it provides full control and ownership over collected data, Piwik PRO Tag Manager is a great addition to our core product – Piwik PRO web analytics. If you want to learn more about our tag management system, visit the Piwik PRO TMS website or check out our Tag Manager User Guides. And if you’d like to compare all the products available on the market, just download our helpful Whitepaper. Our Tag Manager wouldn’t be as versatile as it is without a vast array of triggers for you to use while tracking your users’ behavior. That’s why in November we introduced three new powerful events: Scroll, Leave Content, and Time on Website. Each of them can be used with Piwik PRO analytics to give you even better insights and help deepen your understanding of both existing and potential customers. Scroll – gives you a chance to present highly-engaged visitors with one-time only offers or other types of rewards. User engagement can be determined by reaching a certain scroll point on your website and specified as a % or pixel. Leave Content – lets you take advantage of exit pop-ups and other messages displayed when visitors place a mouse cursor near a page-leaving area. It can be easily used to present them with valuable offers or content which will discourage attempts to go somewhere else ;-). Time on Website – can be used to trigger pop-ups, messages and other push notifications after your visitor spends a specified amount of time on site. 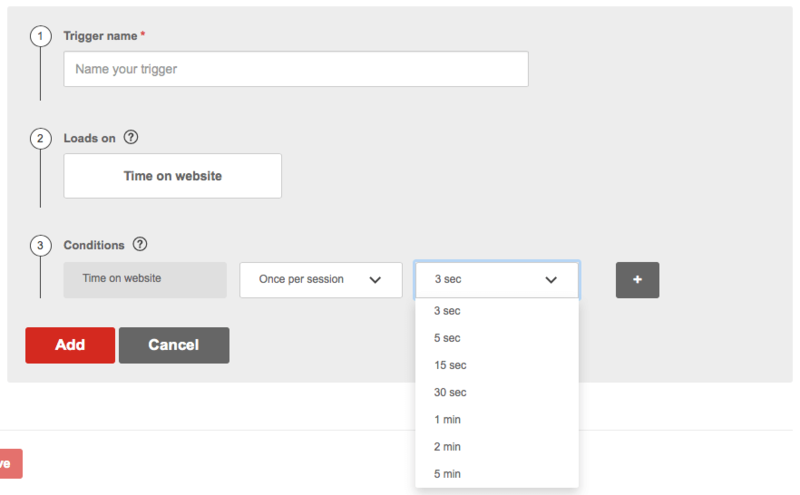 Content of your choice can be easily displayed after 1 minute spent by your user on the site, only once per session. Want to learn more about our new triggers? Then you should definitely read this blog post. 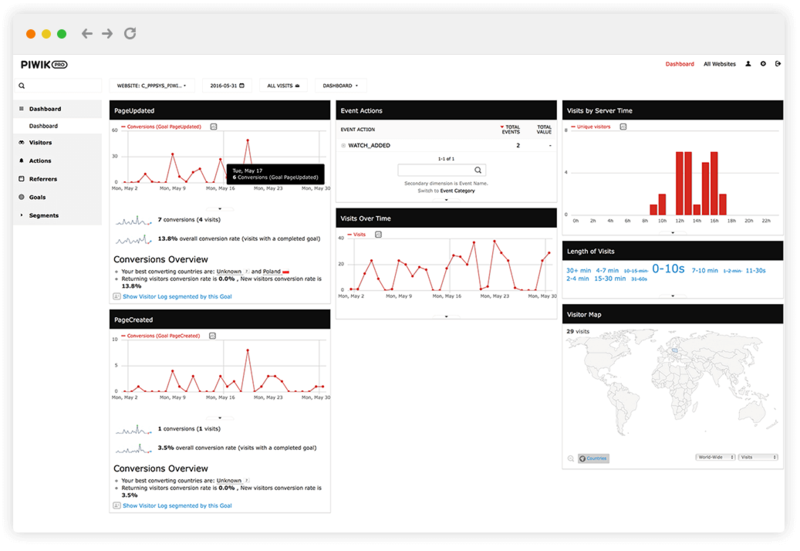 The long list of premium Piwik PRO web analytics features has always been its key differentiator. Our plugins are tailored to the specific needs of our customers from different industries and with a diverse range of demands. They allow you to easily optimize your website for conversion, keep your data more secure, or just make it easier to interpret. A feature dedicated to measuring the performance of Optimizely experiments and their impact on your conversion rate. With this plugin you’ll be able to identify the most effective and engaging option and carefully apply changes to improve your customer’s’ experience. A/B Test Tracker is a great way to validate your choices and gain confidence about the accuracy of your data. Are you looking for a way to assess the effectiveness of your marketing channels? Then you should definitely consider using Conversion Attribution, a new asset to our features library. It tells you which elements of your marketing campaign played the biggest role in conversions and helps you determine the real value of each one of them. AdWords provide you with many important reports, including general costs, clicks and CTRs. But still, it doesn’t let you see the whole picture – especially what happens after your visitor clicks on your ad. Fortunately, with AdWords Integration feature you’ll get the access to additional metrics like: bounce rates, time spent on page, and more. Thanks to that, you’ll be able to analyze your marketing efforts and optimize your campaigns for a higher conversion rate. A helpful feature that allows you to get valuable information on the overall performance of your employees’ internal communication tools. Integrate your web analytics with Confluence to learn if the suite is meeting your organization’s objectives. The Confluence integration feature is free of charge and available with all premium plans. 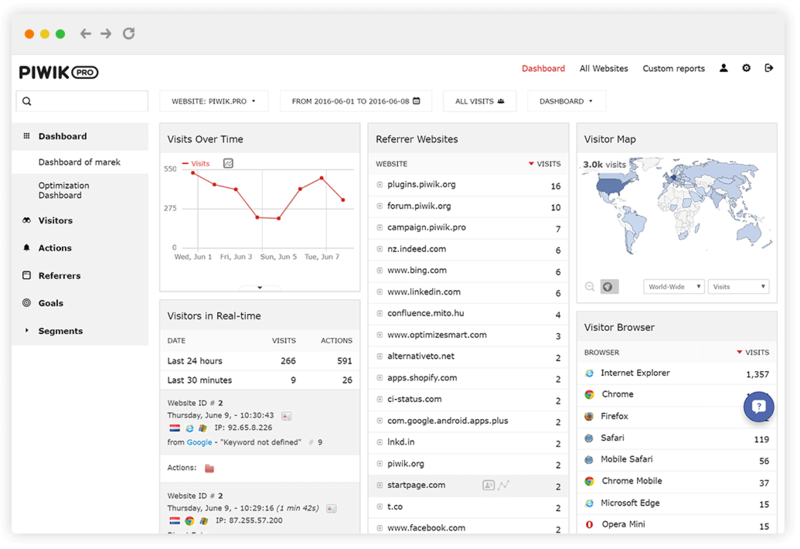 Our new Organisations plugin is designed for companies wishing to analyze their internal traffic sources. Since Piwik GeoIP attribution works only for public IPs, recognition of internal locations wasn’t possible in the past. Now, by using the Organisations feature you’ll be able to create an additional column in your web analytics reports dedicated to your intranet users. 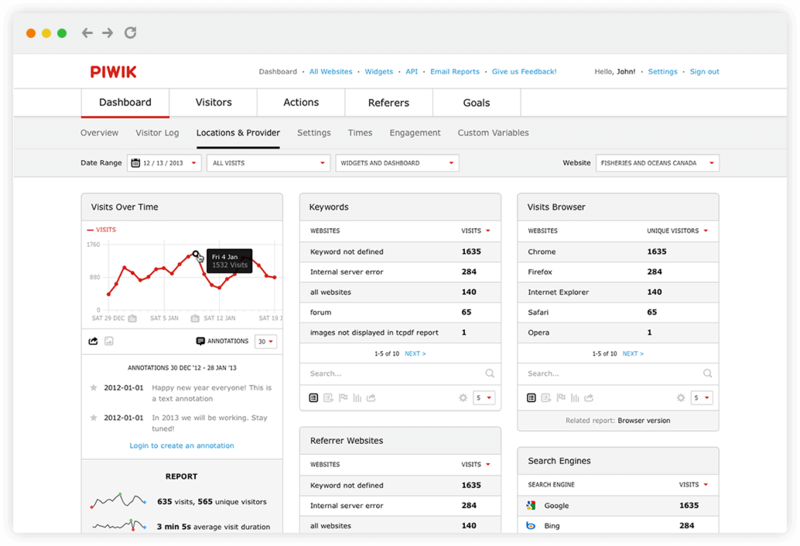 Visit our Marketplace to learn more about all the features that can be used with Piwik PRO web analytics. 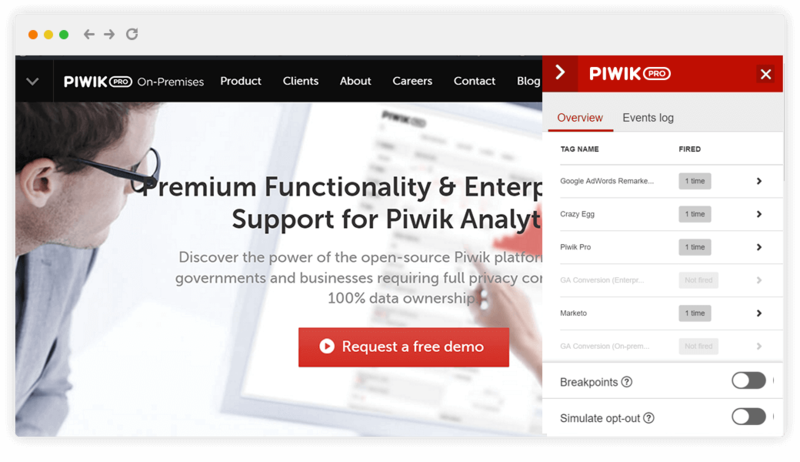 In December 2016 we launched another new tool dedicated to Piwik PRO users. It allows you add Piwik PRO campaign parameters to URLs in a few simple steps. And since the tool can be also used for converting your utm_ parameters into pk_ parameters, it makes switching to our analytics suite far less painful and complicated. If you still haven’t had the opportunity to familiarize yourself with our new products and features, give them try them and share your opinion with us. 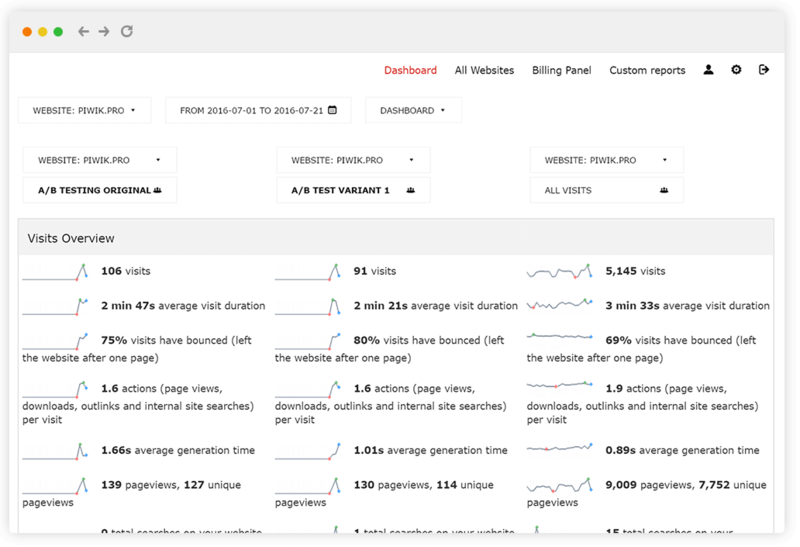 We’d also love to hear your thoughts on further improvements to our web analytics suite. In the meantime, stick around to see what we’re planning for 2017. We can’t reveal too much right now, but we can say that some big news is coming in the next few months. And we’re really excited to finally share it with you!